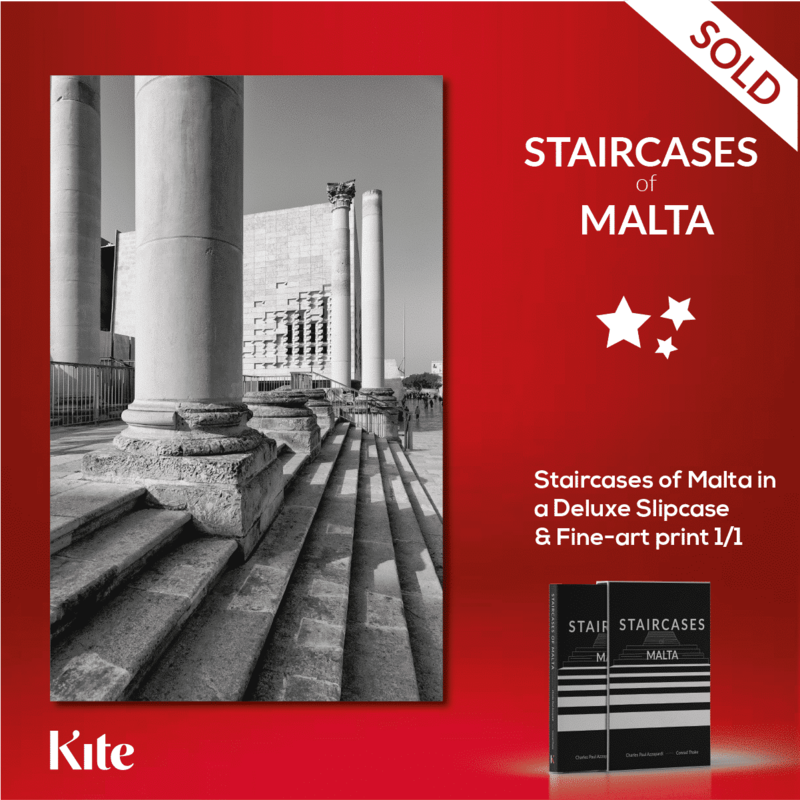 10 individual architectural fine art monochrome prints by internationally awarded artist and photographer, Dr Charles Paul Azzopardi. 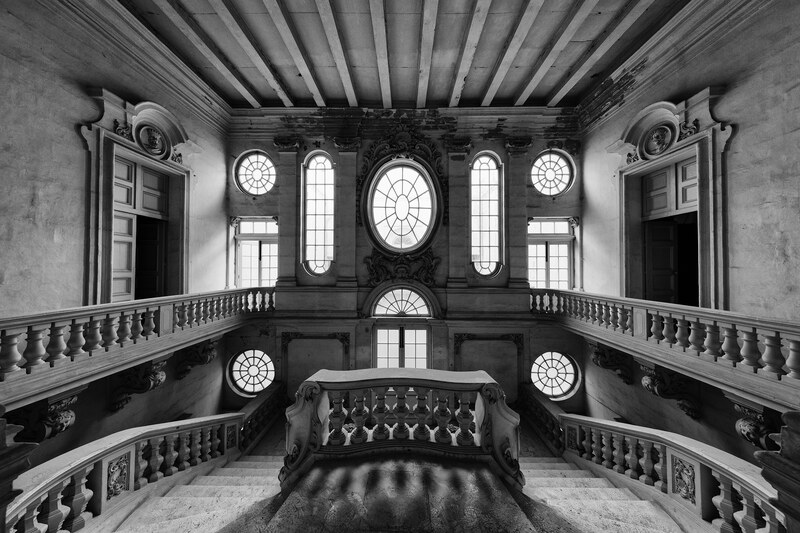 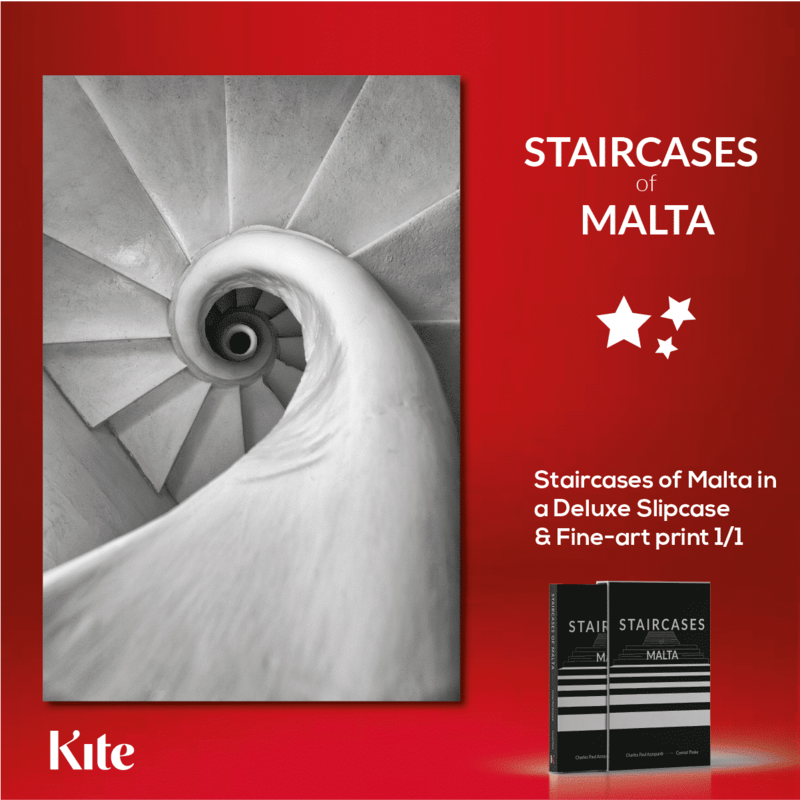 The 10 individual architectural fine art monochrome prints by internationally awarded artist and photographer, Dr Charles Paul Azzopardi, are an exploration and study of symmetry and asymmetry, an undulating symphony looking at an architectural element we all encounter in everyday life, staircases, always taken for granted, with barely a nod of indebtedness as we fleet through them, enthralled in our journey from here to there, too flustered to feel the here and now on the staircase. 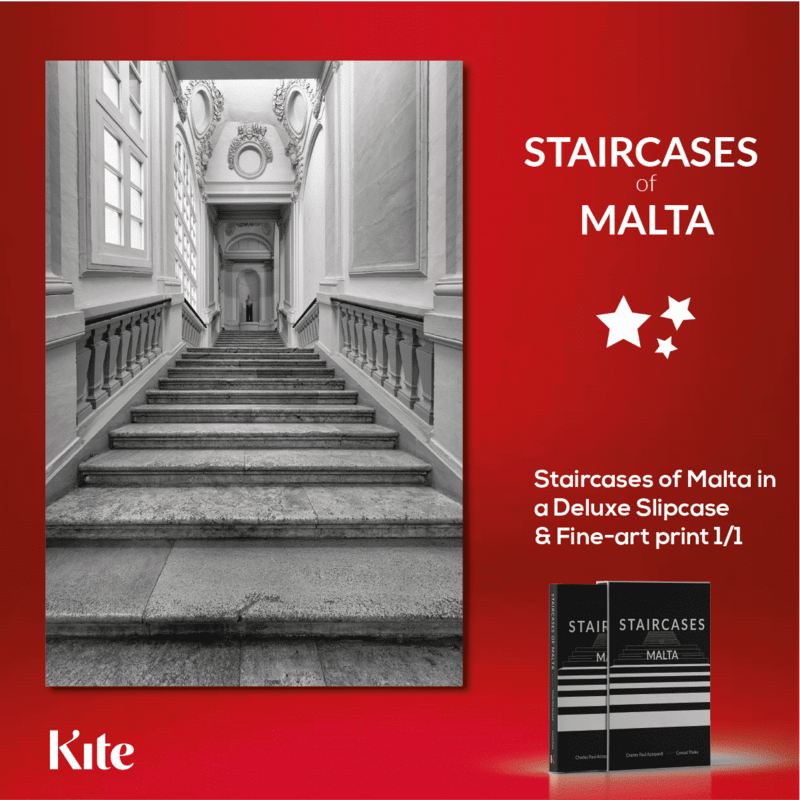 Charles has taken his background in architectural photography to showcase staircases in their beauty, and these images are an ode to a disappearing architectural element, the staircases of Malta. 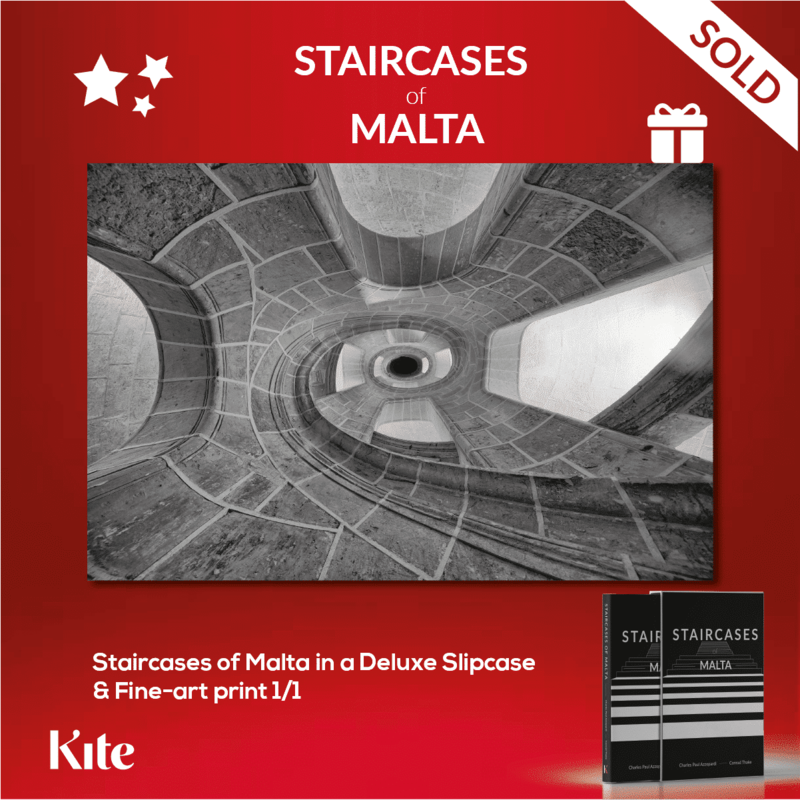 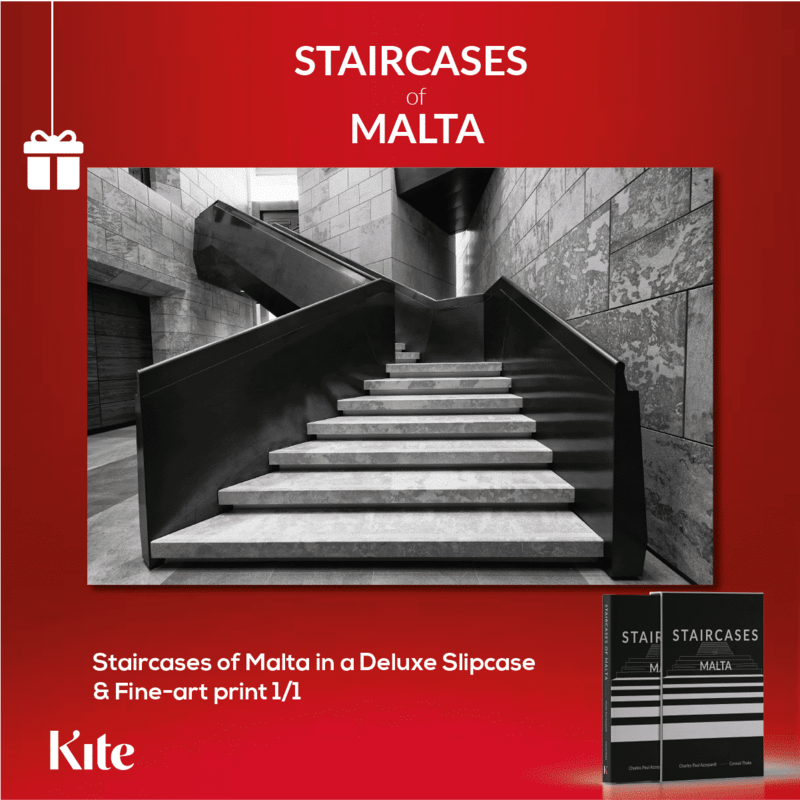 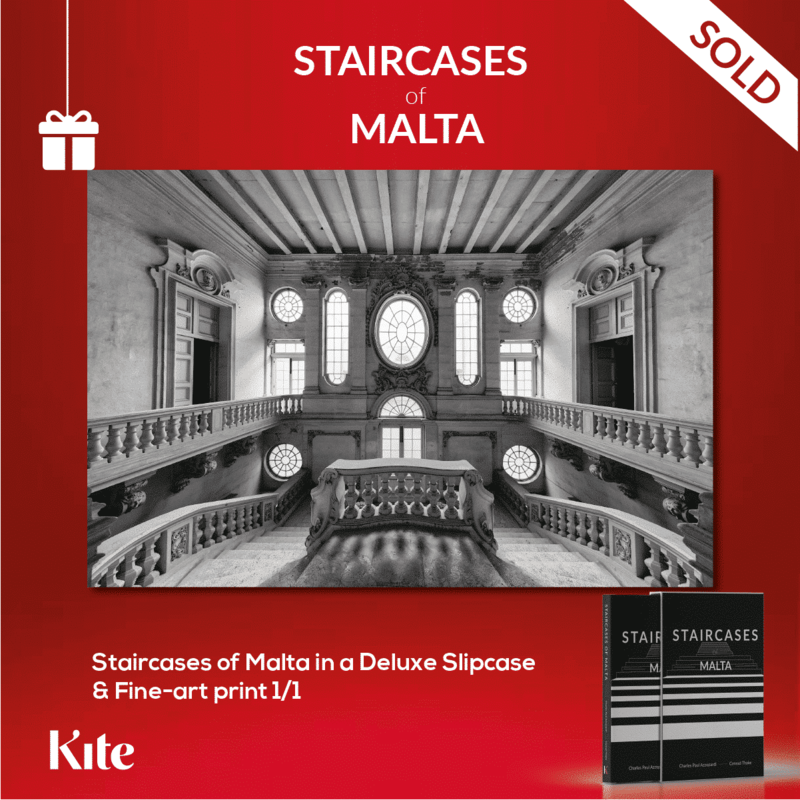 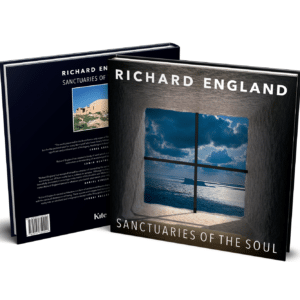 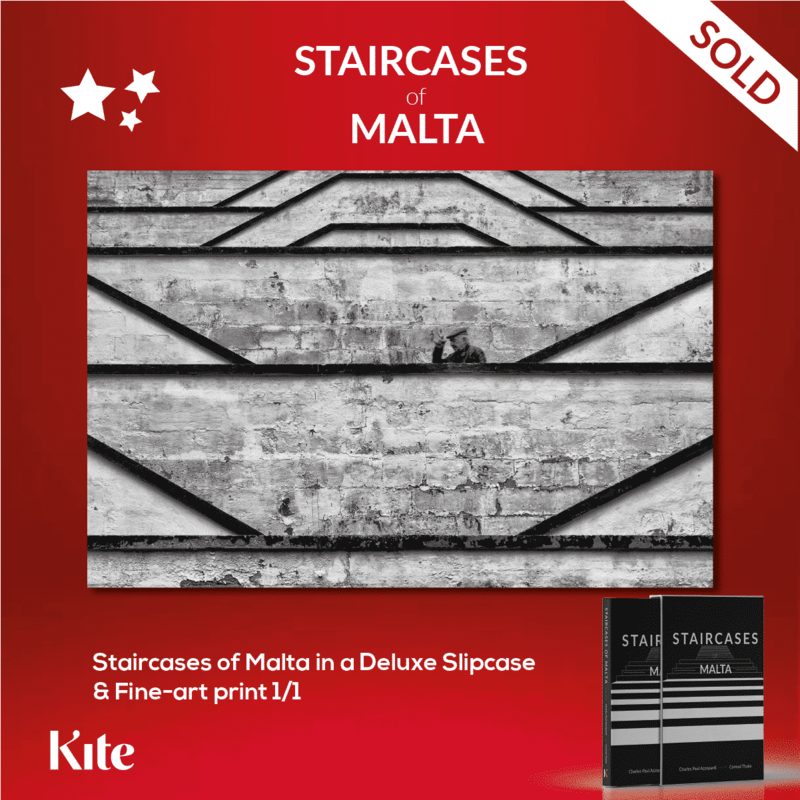 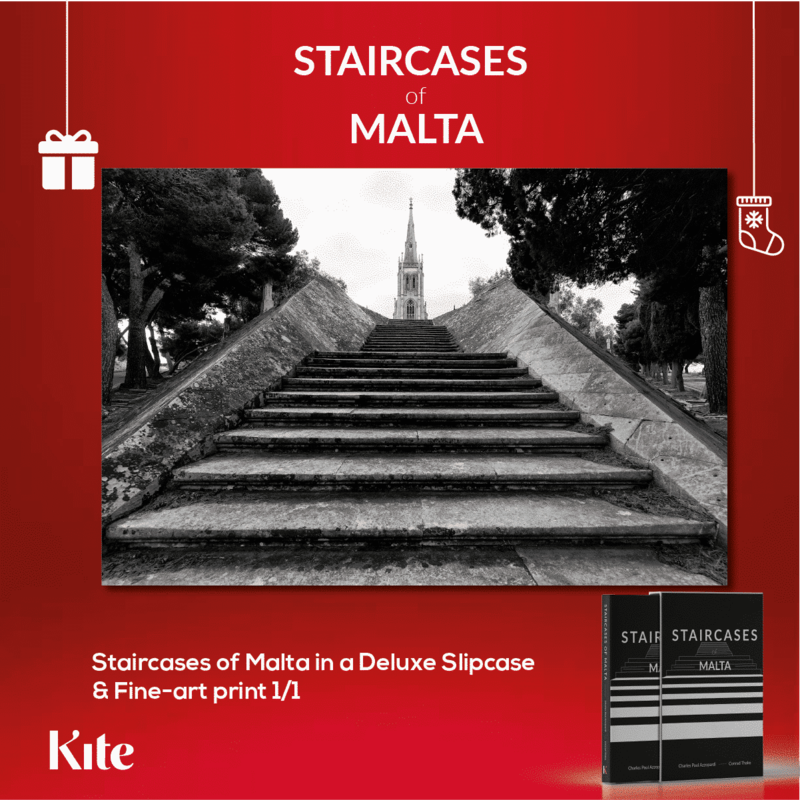 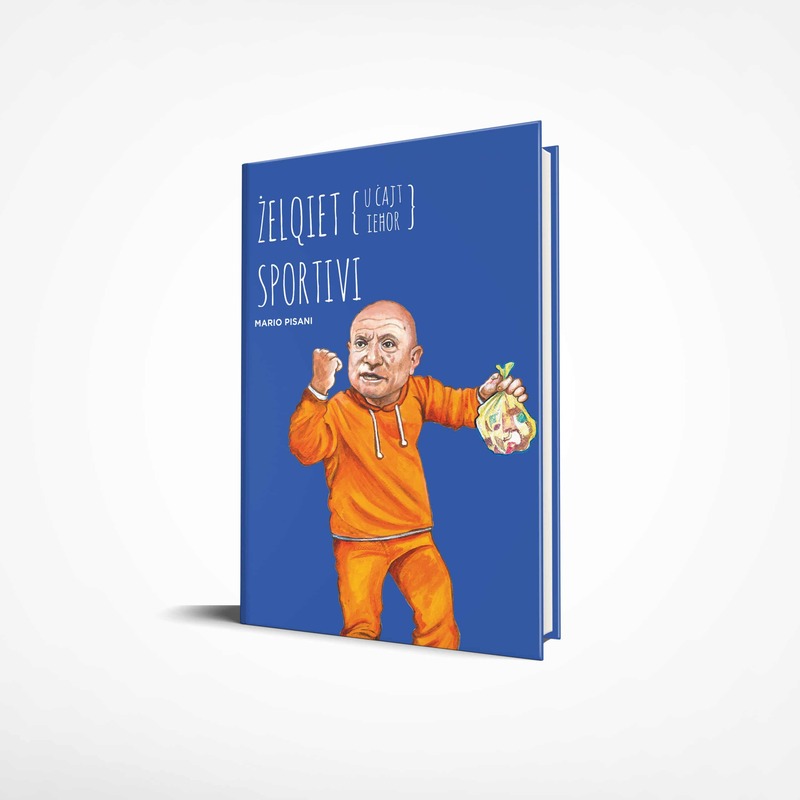 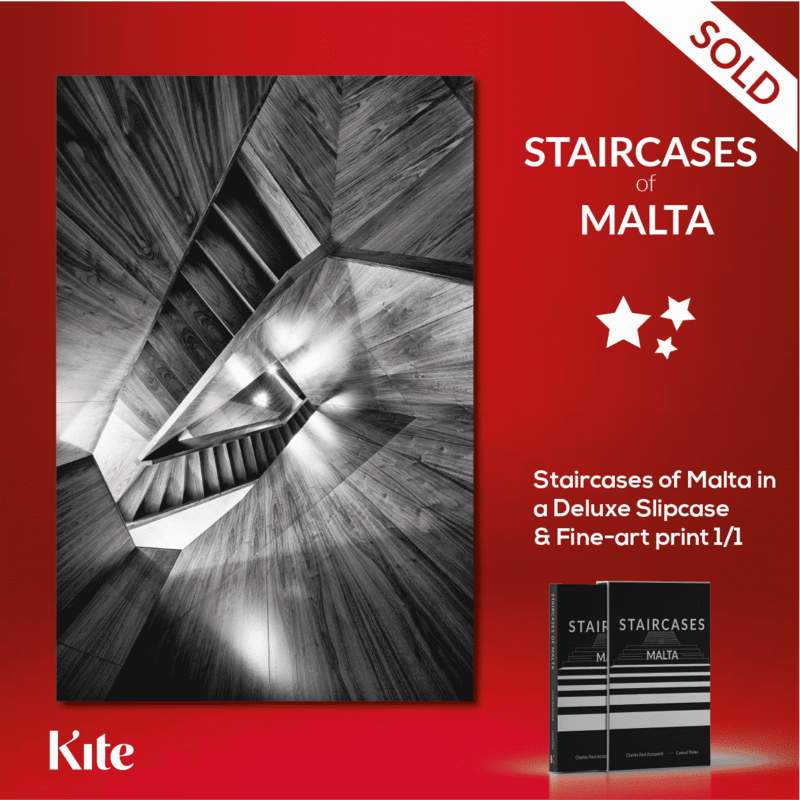 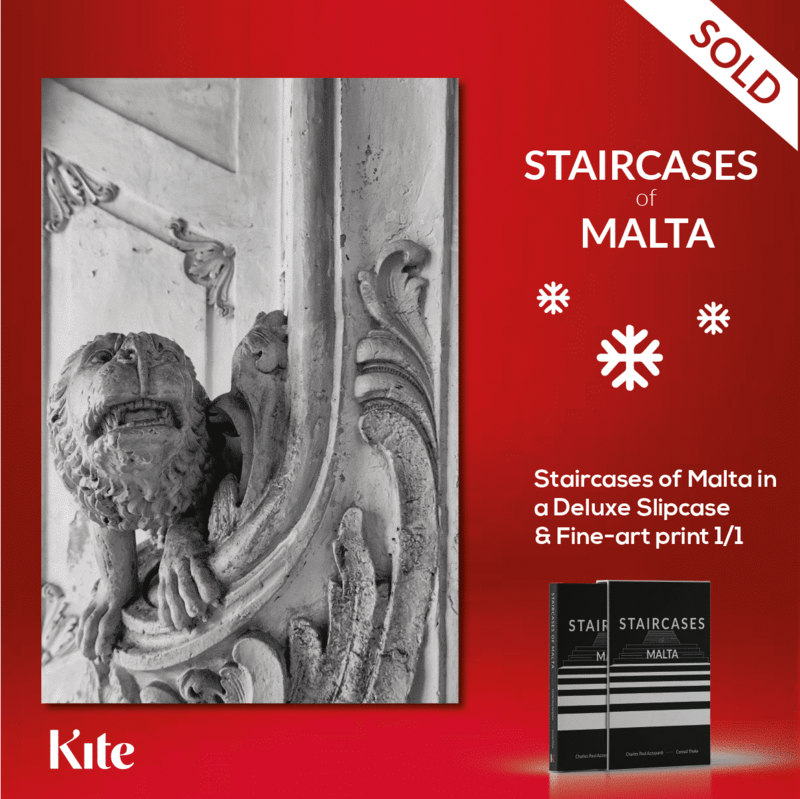 Each print is a single limited edition artist proof, 1/1, signed verso by the artist and is accompanied by a certificate of authenticity and the book ‘Staircases of Malta’ in a deluxe slipcase.